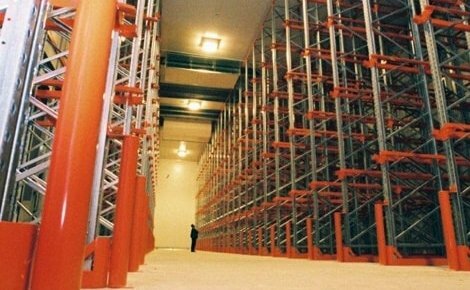 Carpet Racking or Vinyl Racking, is a great solution for warehouses that store product that is cylindrical in shape. 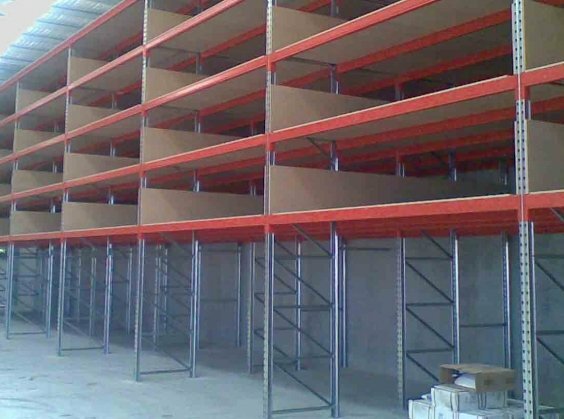 Essentially it is a large scale pigeon-hole rack where you can place your product horizontally into the shelving system allowing a safe and secure method of storing carpet, vinyl or a number of other products in that shape. 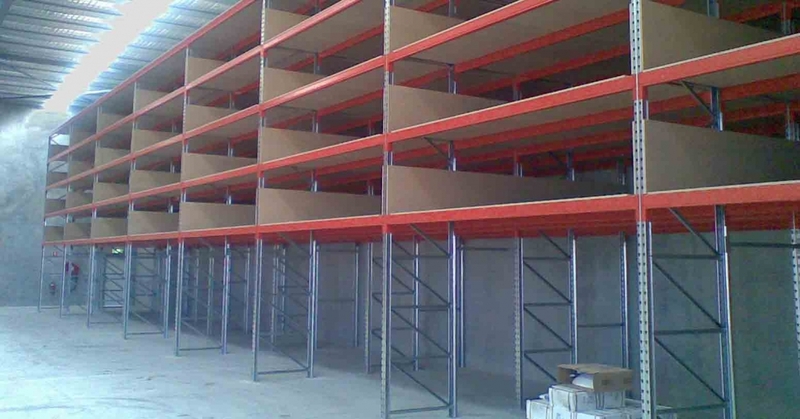 It is a simple solution that allows for maximum storage of product whilst using minimum floor space. 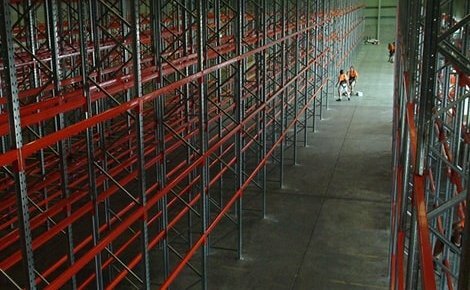 There are two main options for when you want to use carpet racking. 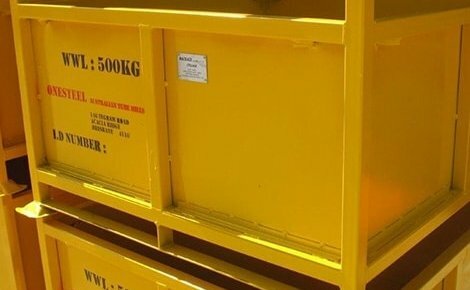 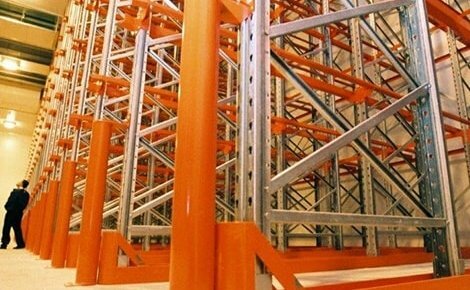 The first is to have hand picking on the ground level, and bulk product stored in the racking system, this allows quick picking throughout your warehouse. 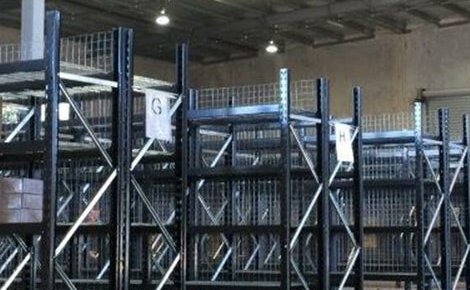 The second option is to have all the product lying flat on shelves, dramatically increasing the pick face potential and accessibility to all product at once. 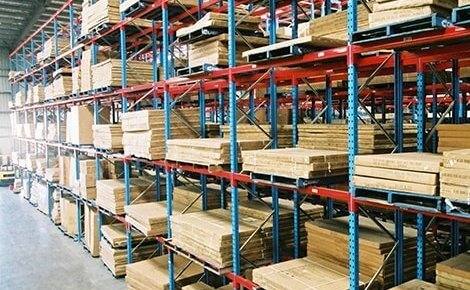 Because the product is sitting on a shelf there is a reduced risk in the potential for it to become damaged. 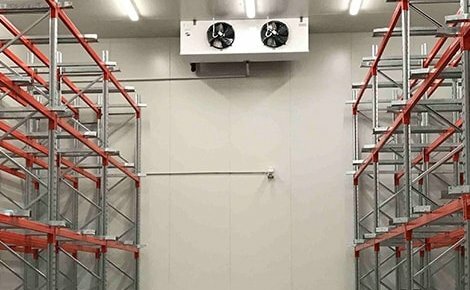 The board above protects it from dust, you are not lifting from the middle of the product which prevents sagging and scratching, and the board allows the product to glide into the rack secured by the frames on either side. 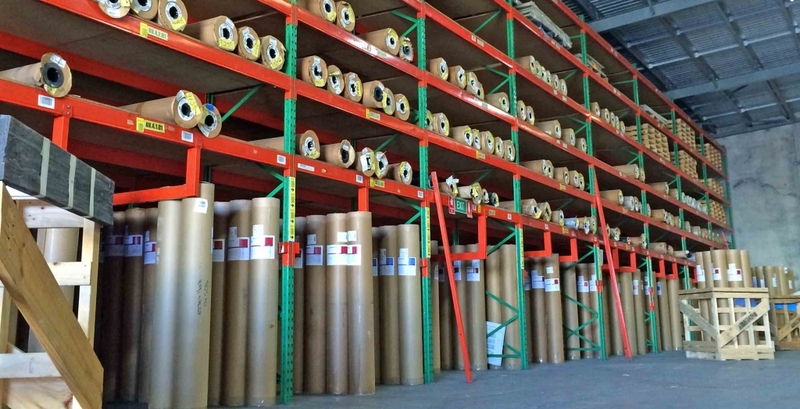 Because you can place the carpet, fabric of vinyl rolls horizontally it creates an easy pick face for your warehouse staff to visually see and distinguish between product. 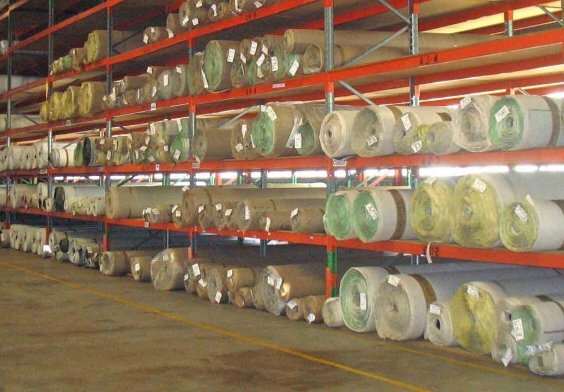 The rolls are picked up with a fork lift using a special carpet spike that allows you to pick to full roll in one smooth motion. 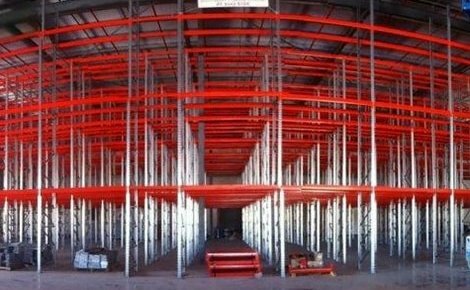 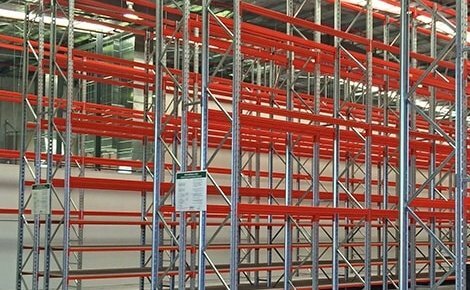 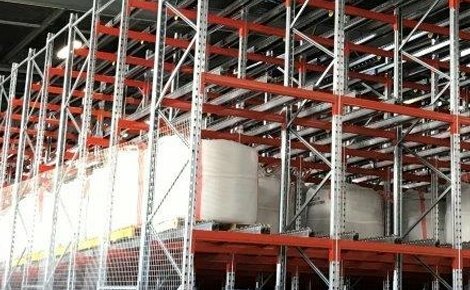 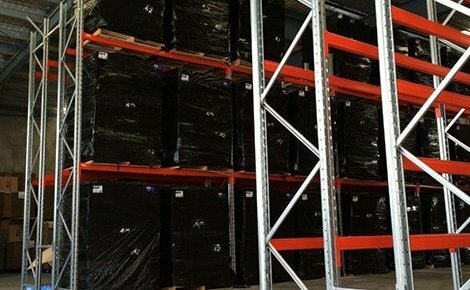 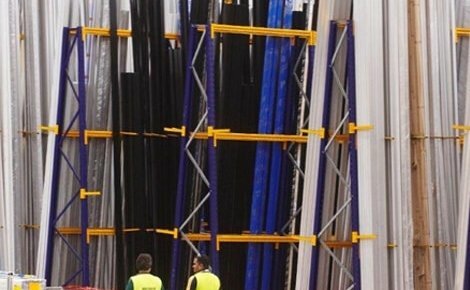 The racks are easily customised, you can have a wide variety of depths, heights, numbers of levels per bay, and runs as long as you can fit in your warehouse. 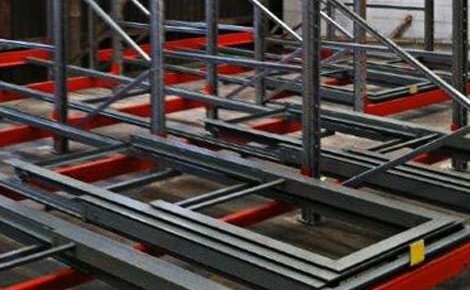 Normally we based the design off the product you have, so a carpet rack would be 3600mm deep because that is the typical depth of a roll. 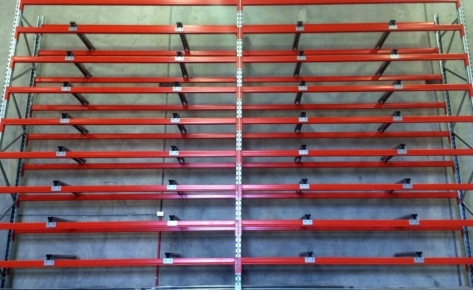 However, we can easily increase or decrease this depth to suit, perhaps fabric (1600mm), or garage doors (4500mm). 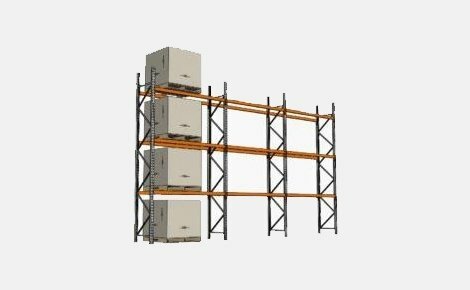 We will even custom configure the correct weight load to make sure you get optimal engineering performance, with minimal cost. 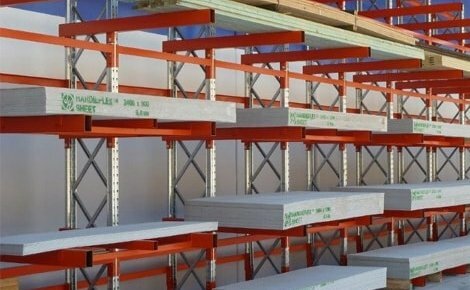 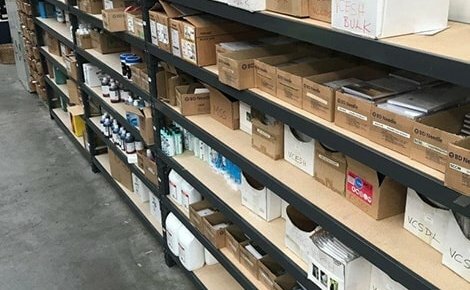 We can configure some shelves to take a lighter product and some to take the really heavy loads, the choice is yours and you are able to mix and match depending on range and how your stock fluctuates. 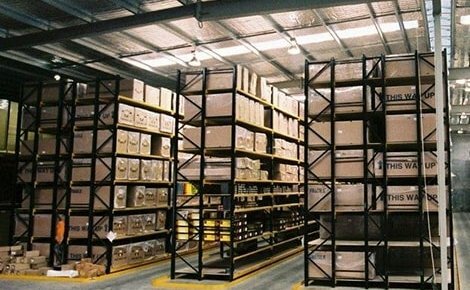 We have used this system for many clients around Australia, and they are ecstatic with how simple and easy it is to use. 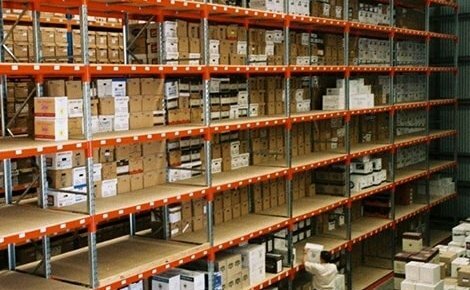 Some of the products they store include. 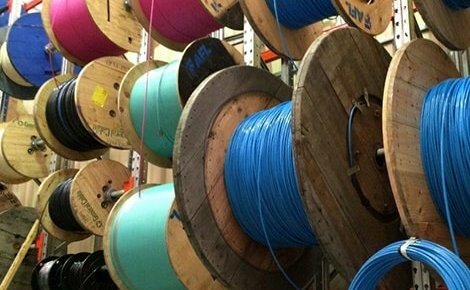 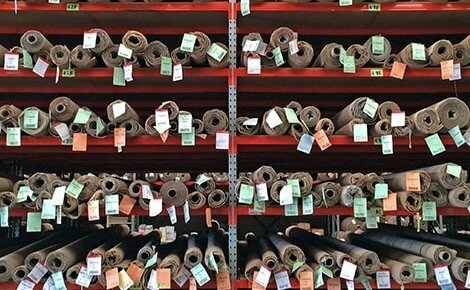 If you have rolls of fabric, carpet vinyl or other product that suits this system, call Macrack now for a free measure and quote of your warehouse. 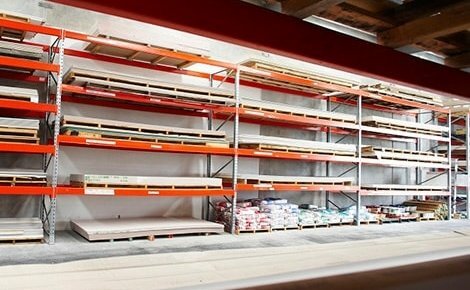 We can run you through the options available for our carpet rack to make sure you get the best solution for your warehouse. 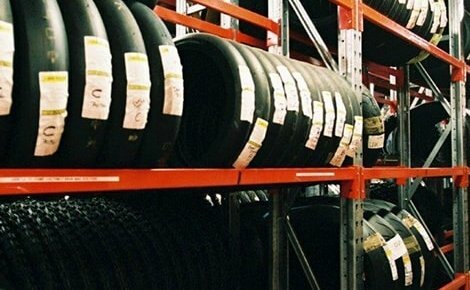 Macrack is here to help your business grow and we want you to be able to grow with ease.